I've been on a taco hunt for the last few days with little success, now this strikes me as strange, either Nokia are shifting the N-Gage faster than they can make it, or they're being held back somewhere in the supply chain. Odd stuff, maybe it's just classic niche sales strategy, build in an artifical shortage in the supply chain to keep prices high or perhaps there's just insufficient demand to ship many units. Nokia, what is going on? Anyway, I seem to have found a source, and I'll be telling the full story of my travails on All About N-Gage when the saga completes. Some you win, some you lose. Bill Gates is just so irrelevant to the world of computing these days, and prone to flights of idiocy, I can only assume the award is for his philantropic exercises. Let's hope so, otherwise the judging for the honours system is even more highly flawed than Microsoft's security practices. As far as I'm concerned Jews, Muslims, vegetarians and vegans really miss out on one of life's true pleasures, pork. The River Cottage's recipe for making bacon (via An Englishman's Castle), and Ben's musings about Lardo di Colonnata are just exquisitely mouth watering. A thoughtful post by Paul Hammond on FOAF etiquette, covers the things you should and shouldn't say about people in your FOAF files. I think these are pretty similar to the unspoken rules that appear to have evolved into being, I'd add another rule of thumb, keep it simple. If someone's got a FOAF file of their own, they can say as much as they want about themselves, and you only need to keep minimal information about them in your FOAF file and point at their file (rdfs:seeAlso to the rescue). FOAF how-to's seem to be appearing in a few places, maybe it's indicative of the increasing spread of FOAF. No names, no packdrill, but this is an all too common event, then again a good specification is non-trivial to write. 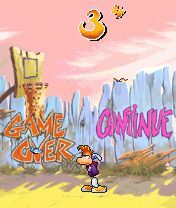 My first review of an N-Gage game has been posted on All About N-Gage, Rayman 3 - Hoodlum Havoc, it's a nice game actually, easy enough to pick up and play, but not so easy that it's boring after 15 minutes or indeed quite a few hours. It's impressive what the promise of a free beer will do to the Mobitopians! When I complained that they'd been MobiSlacking and I offered to buy the most prolific December poster a pint I really didn't expect them to take me that seriously, 32 posts was bloody good going - certainly compared to recent months - and 10 posts in one day beat the entire output of November. Good work chaps and congrats to Matt, and to encourage the others, the same offer is on for January, top poster gets a pint on me! I had an email from Sven van der Hart letting me know that SvenCentral is currently down. His hosting providers are coming out with some lame excuses, but for now you can find some of his splendid Playmobil films here. I suspect BitTorrent would be a good solution for future distribution of his films. Not content with just shooting down our aircraft and strafing our TV reporters, the US Air Farce are now bombing Yorkshire. Words fail me. I'm currently using an N-Gage as my main phone, initially I was a little sceptical, but it's grown on me immensely. In fact, I'd rate it probably 3rd or 4th in my Series 60 device hierarchy. Top of the tree right now is the stonking SendoX, runner up is still the SeX1e beast, and 3rd/4th would be a bare knuckle fight between the Nokia 6600 and the N-Gage. That's a tricky one to call, with the two feature sets appealing in different ways; add a camera and IR to the N-Gage and it'd be a no brainer, as would adding a stereo radio and fixing some of the bugs with the 6600. Anyway, back to Mars, there I was the other morning sitting on the train, chatting away on IRC with the #mobitopia crowd, whilst reading an e-book, and listening to the radio when the DJ suggested the listeners sent him a text message which he'd forward on to the Beagle2, I was just about to compose an SMS when I realised just how much connectivity and computing power I had in that one little box. Wow! A feeling a bit like the first time I got an internet email address 15 years or so ago. Now with Nokia are promoting the N-Gage as just a game deck, how much fun can we have with the 7700 which Nokia are promoting as a Mobile Media device? Lots I reckon, expect lots of big "Wow!" moments this summer! Mini iPod - is it a good idea? Like others I feel a bit let down by the mini iPod, not just with the US pricing or even the shocking UK pricing, but like Russ with the very concept itself. Sure it's smaller than an iPod which is nice, but does it really bring anything new to the game? Remember that the standard iPod isn't a huge bloated device, but something sleeker and more sveldt than a walkman. The size aspect of the mini iPod is rather intriguing, the nearest size equivalent is a 13mm thick business card, so it's wider and longer than the smallest mobile phones, but probably slimmer at 91x51x13mm (people interested in old school measurements can find then elsewhere). Sure it's small, but it's also bulky compared to the solid state devices, I really can't see the mini iPod doing much other than canabalising iPod sales to fashion victims. Crown Squatters or King Mick, it's your turn! So, as it appears that Liz got the job under false pretences, what happens next? Let's face it, anyone else with false claims on their CV would be down the JobCentre before you could say UB40. In days of yore, if you wanted to claim this kingdom was rightfully yours (or not) you'd turn up at Dover with a BFO army and fight for the job. Given that wars these days are now only normally fought by African lunatics or religious despots (that's you George and Tony), I don't think this is really King Mick's style. Also I wonder how much legal control the Queen has over the UK's armed forces these days either. So is this battle one for the courts perhaps? Or maybe a duel or even a game of It's a Knock Out?